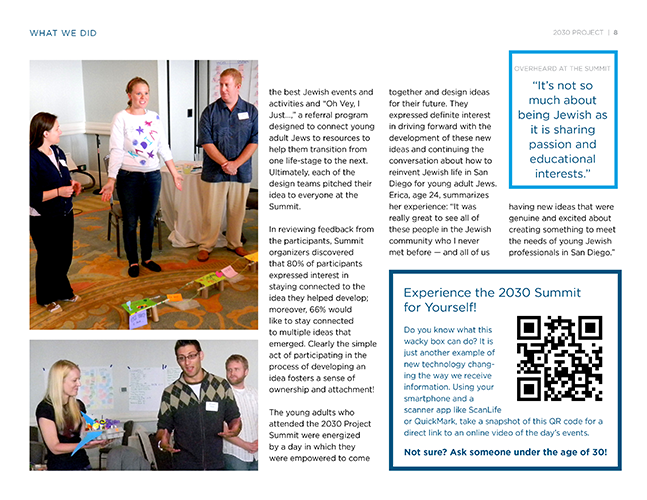 DESIGN CHALLENGE: Develop, research and write report content with input from Federation’s 2030 Project leaders. 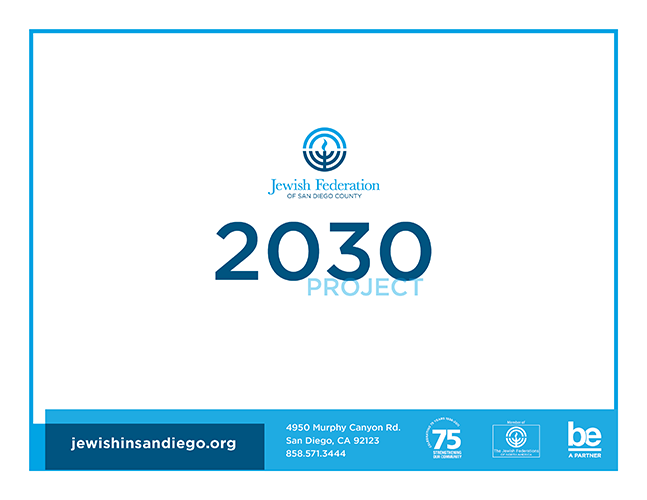 Subsequently, design a layout that presented the detailed information in a manner that would appeal to large donors as part of a $1,000,000 fundraising campaign. 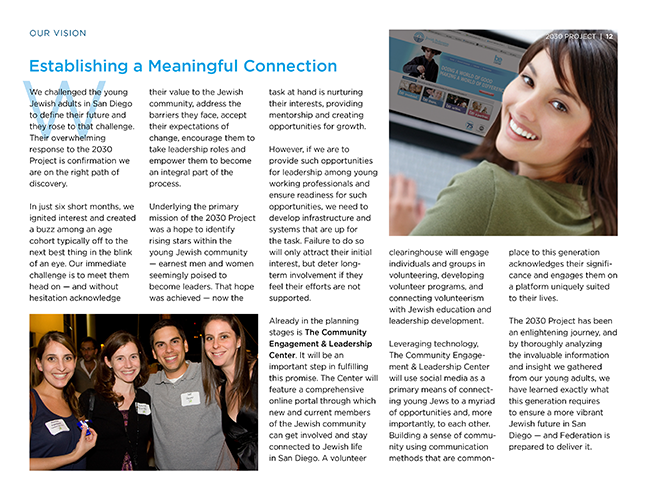 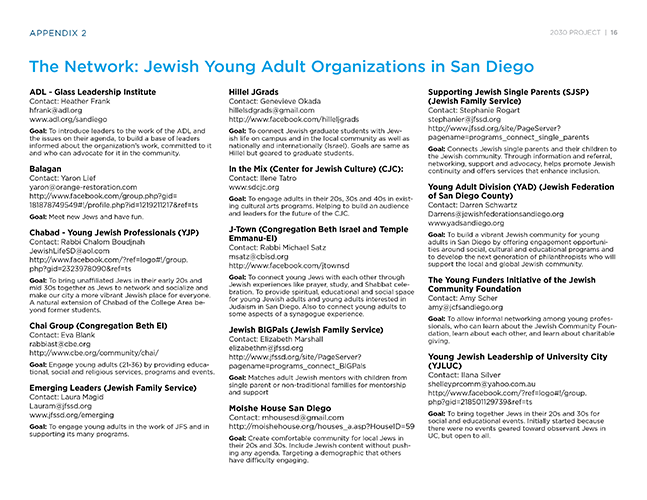 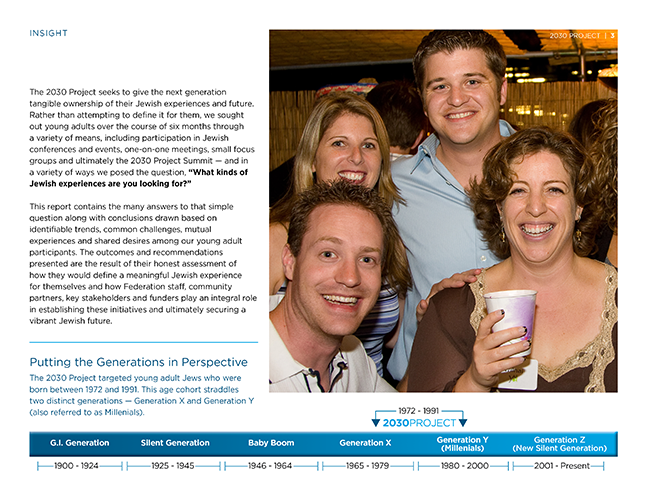 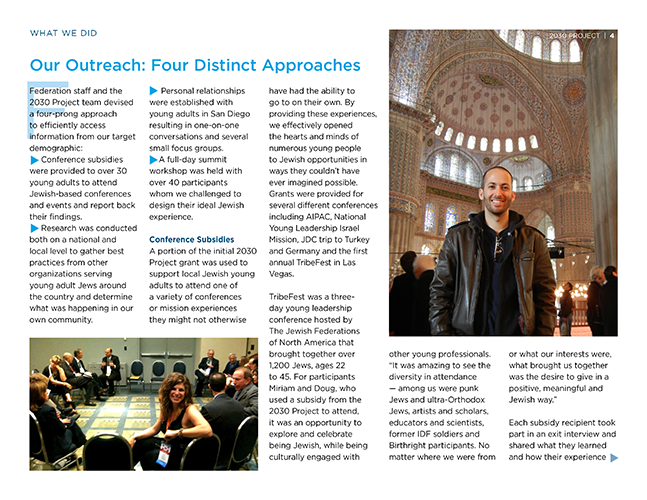 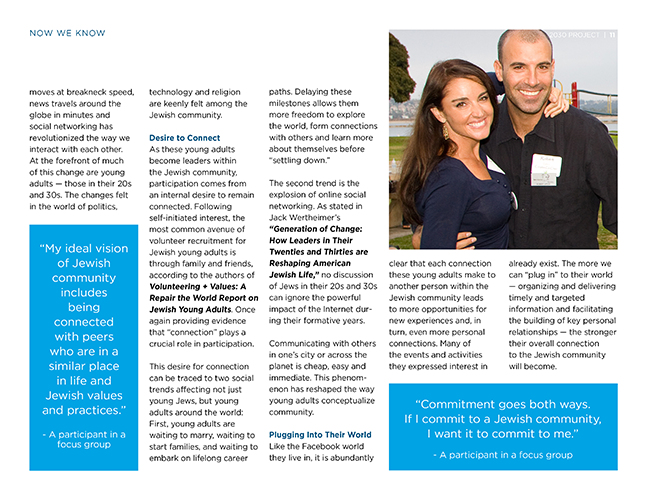 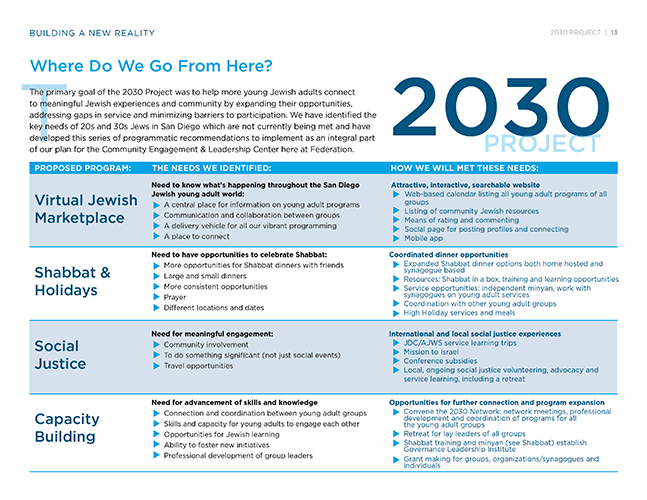 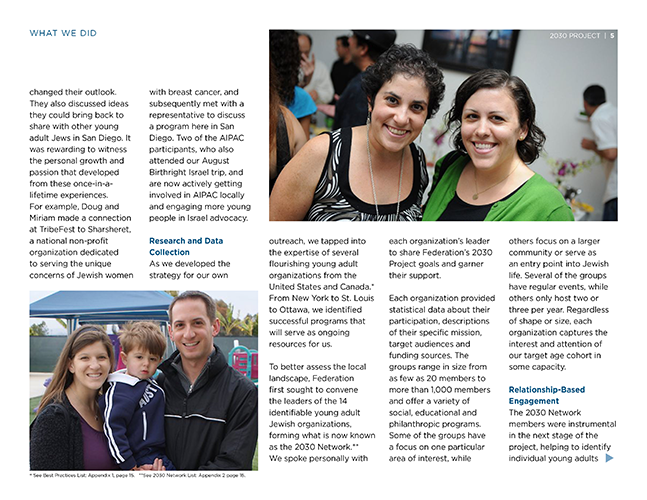 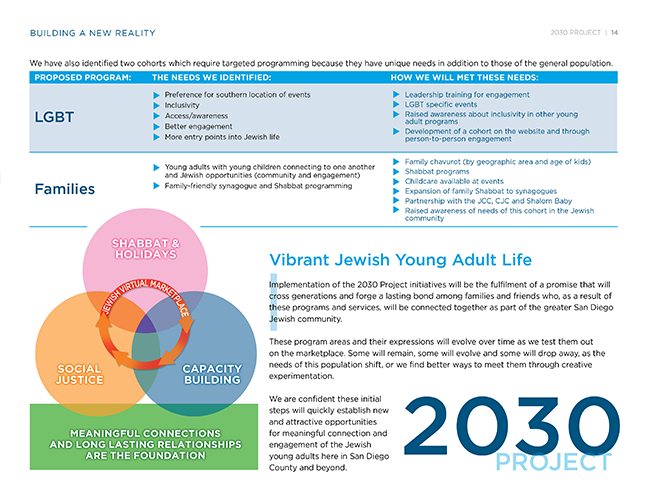 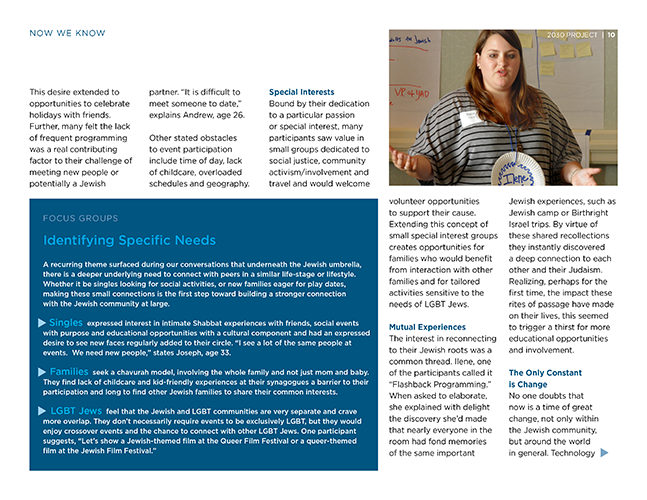 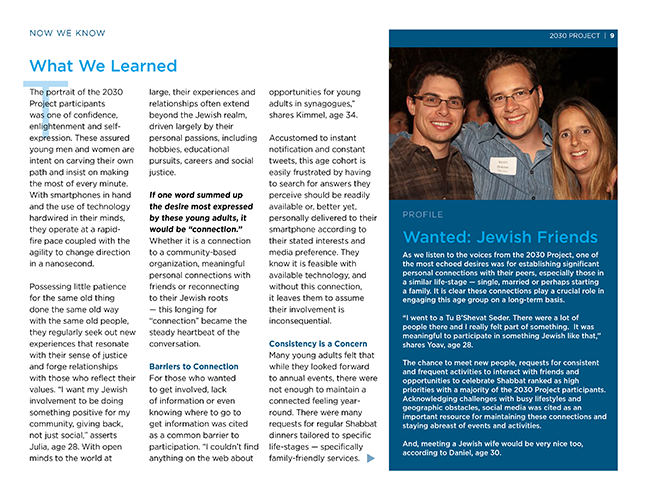 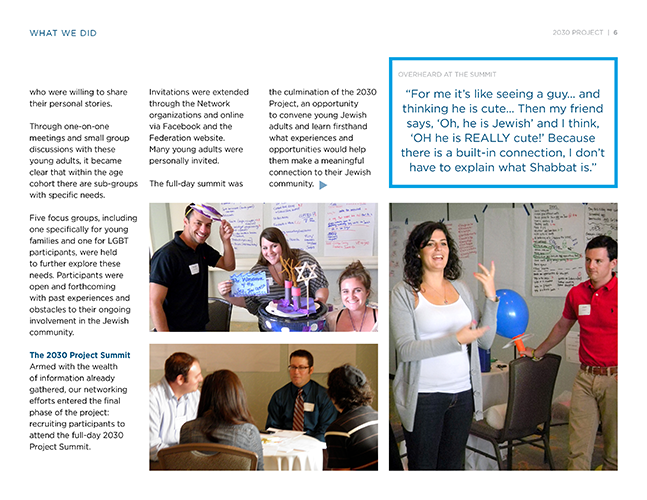 ELEMENTS: Comprehensive 18-page report summarizing the scope and findings of a 6-month initiative to reach out to Jewish young adults to develop an understanding of what their Jewish heritage means and how they can strengthen their connection to the Jewish community.